For over 30 years, Allen has helped thousands of individuals with their insurance planning. 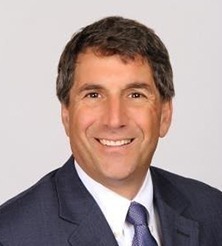 With the changes in healthcare and the complexities and confusion surrounding Medicare, Allen has placed his primary focus on educating and assisting individuals with their Medicare needs, becoming recognized as a leading Medicare Advisor in the greater Philadelphia area. He and his team are unbiased and completely independent so they can shop the market for the best solution for you. Allen has developed a unique and rigorous six-step process that methodically walks you through the entire Medicare process, from education to enrollment. Each step is a natural succession from the step before, thereby providing you a simple and understandable progression of all the ins and outs of Medicare. The end result of the 6 step process - your complete understanding of your Medicare options, insuring you are getting involved with the right Medicare Plan at the lowest possible cost available. The end result in working with Allen – consumers have all the information needed to make an educated decision concerning their Medicare needs. Allen is a trusted and endorsed provider for Medicare Plans by groups such as the School District of Philadelphia, The Veterans of Foreign Wars- Pennsylvania (VFW-PA), and PhillyUnions.com.